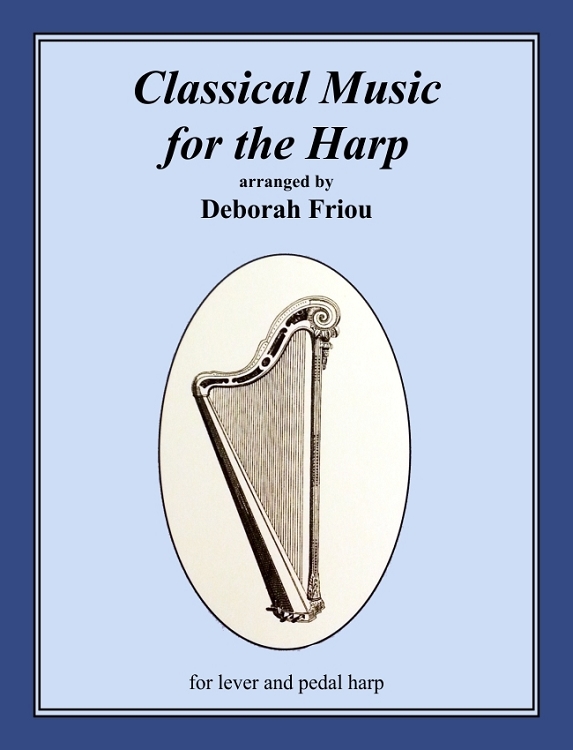 This book by Deborah Friou is a collection of over 40 waltzes, minuets, sonatas and other music from the classical period, many of them well-known works. All of them can be played on lever and pedal harp. Over half of the pieces have no lever or pedal changes. For those that do, lever and pedal changes have been indicated. Fingerings included. This is a great collection for church services, weddings and receptions. For the advanced-beginner to the advanced player. 96 pages, spiral-bound.